A rock candy experiment is a great way to demonstrate to students the concept of evaporation, and to teach them about crystal formation. 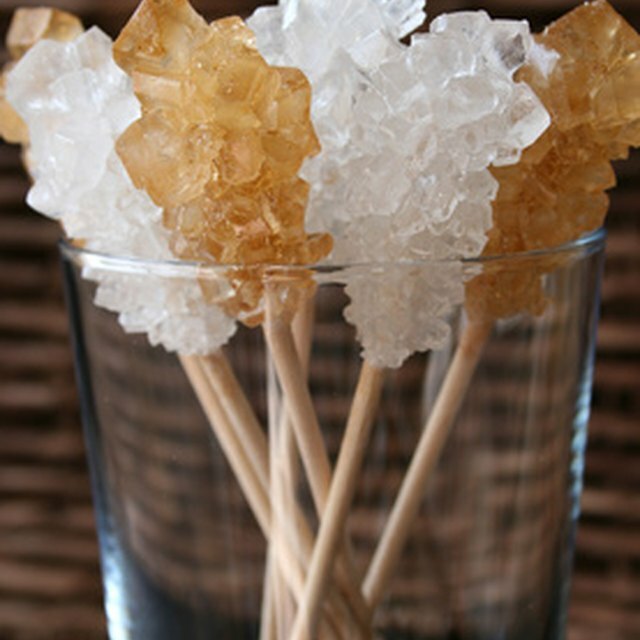 The rock candy crystals form when water evaporates from saturated sugar water. This experiment may be carried out in the classroom, with your students participating. While the rock candy forms over several days, you and your students can observe and record the progress of the crystallization. Take a photograph each day to accompany the class notes. Bring 1 cup of water to a rolling boil on a hot plate in the classroom, or in the science lab on a burner. Stir in sugar gradually, dissolving fully before adding more. Continue adding sugar until it is no longer dissolving in the water. Add 2 to 3 drops of food coloring. Remove sugar solution from heat and allow at least 20 minutes to cool. Dip your chopstick into sugar solution. Roll the chopstick in sugar and give the sugar time to dry completely on a piece of wax paper. This will give the rock candy crystals a textured surface on which to begin growing. Have a student clip the clothespin to the bare end of the chopstick at a perpendicular angle. Lower the chopstick into the glass, making sure there is at least 1 inch of space between the chopstick and the bottom of the glass. Remove the chopstick before pouring the solution into the glass, to avoid spills. 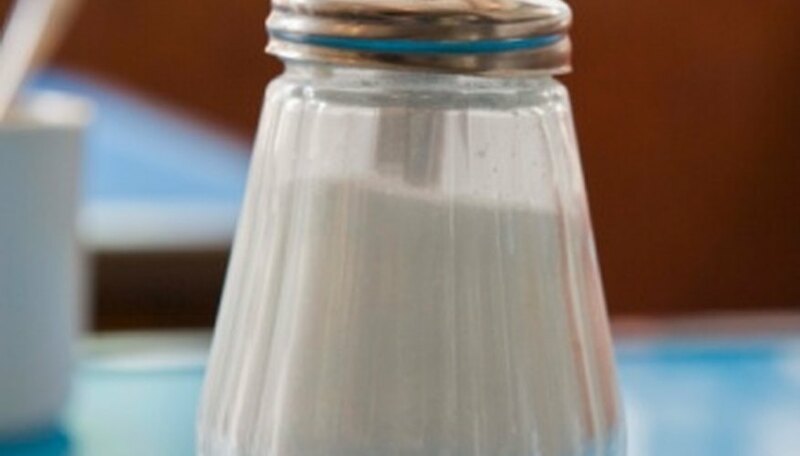 Pour the sugar solution into the glass jar. Lower the skewer into the sugar solution, allowing the clothespin to rest horizontally across the mouth of the jar. When the jar is cool to the touch, place it somewhere that it can rest undisturbed. Observe the jar over the next seven days, recording any changes which occur. Your rock candy should be ready by the end of the seventh day. An individual piece of rock candy can be made for each student in the class with the help of several parent volunteers. Have each student bring in their own jar, sugar and chopstick to keep costs down. Any heating device, such as a hot plate or burner, should only be used by an adult or under adult supervision. Baker, Ashley. "How to Make Rock Candy at School." Sciencing, https://sciencing.com/how-to-make-rock-candy-at-school-12748643.html. Accessed 19 April 2019.